The Ram 3500 is a powerful truck that gives Pueblo drivers access to best-in-class fifth-wheel towing of up to 30,000 pounds, a class-leading payload of as much as 6,720 pounds, and industry-leading diesel torque of up to 930 lb-ft. If that isn’t enough, Castle Rock drivers can also take advantage of the available cargo-view camera, semi-autonomous parking assistant, built-in rear under seat storage, available upfitter switches for attaching accessories, and so much more. Find yours in the inventory below then keep reading to learn why Canon City drivers prefer Perkins Motors when they’re ready to get serious about driving. Factory MSRP: $55,480 $5,645 off MSRP! White 2019 Ram 3500 Tradesman 4WD Automatic 6.7L I6 Located in Colorado Springs, but serving Pueblo, Pueblo West, Castle Rock, Woodland Park, Southern Colorado and the greater Denver area. Factory MSRP: $58,200 $4,833 off MSRP! Crystal Metallic 2019 Ram 3500 Tradesman 4WD 6-Speed Automatic Cummins 6.7L I6 Turbodiesel Located in Colorado Springs, but serving Pueblo, Pueblo West, Castle Rock, Woodland Park, Southern Colorado and the greater Denver area. Factory MSRP: $59,185 $4,922 off MSRP! Bright White Clearcoat 2019 Ram 3500 Tradesman 4WD Aisin 6-Speed Automatic 6.7L I6 Located in Colorado Springs, but serving Pueblo, Pueblo West, Castle Rock, Woodland Park, Southern Colorado and the greater Denver area. Why Buy or Lease a New Ram 3500 for Sale at Perkins Motors? You can even schedule service or order parts and accessories right from the comfort of your home. 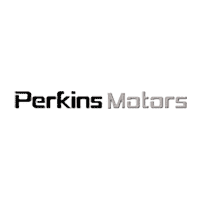 Contact a Perkins Motors associate to find out more today.